Erica stuffed Sammy into her North Face jacket. And Sammy didn't mind (too much)! I think it's because of the cooler weather. 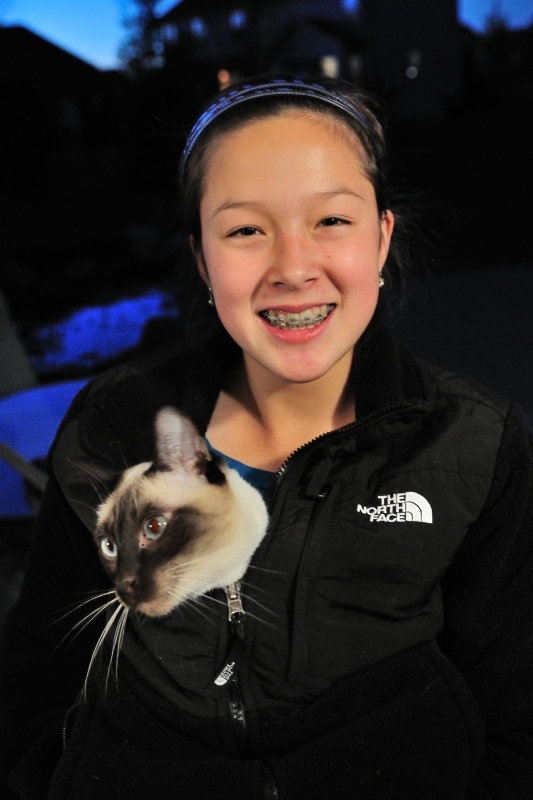 It's the only way he gets to go outside - stuffed inside Erica's jacket.